Authorities of the Centre for Educational Services, Niger Delta University (NDU), Wilberforce Island, Bayelsa State, invite applications from qualified candidates for admission to the under-listed Part-Time programs in the University for the 2017/2018 academic session. Niger Delta University Part-Time Degree – Available Programmes. Niger Delta University Part-Time Degree – Admission Requirement. Niger Delta University Part-Time Degree Lecturers. 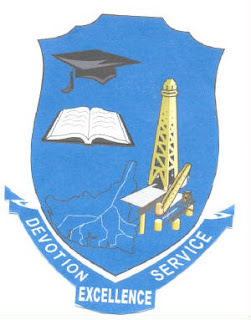 Niger Delta University Part-Time Degree – Method of Application. Click on ‘Buy EPin‘ to buy your NDU Part Time Application EPin at the cost of (N16,000) online using your bank ATM/Debit Card. After purchase of E-Pins click on ‘Fill Application Form‘ to Fill the application form with the Epin purchased and apply for admission. Click on the ‘Reprint Application Form‘ to Reprint your completed application form by providing your Epin or Form No. Niger Delta University Part-Time Degree – Lecture Venue.